My friend Tricia is a vegetarian. I had the good fortune to nourish her at our dining table a few times throughout the years, which has inspired me to focus more on vegetables and incorporate them into our diet more frequently. Now we live a few hundred miles away from each other. I hope through some of my postings she might be able to get ideas for her own cooking. I would like to dedicate all of these vegetarian recipes to her. Let start with carrots. They are one of the basic staples of any kitchen. It is easy to find them year-round, but they definitely taste the best in season, fresh from the garden or farmers’ market. If you buy them in a store, get those that are not peeled, pre-cut, and packaged in plastic. And avoid those uniformly cut, slimy, convenient, but not very flavorful baby carrots! You should always find time to cut your own vegetables! If carrots are clean-looking, don’t peel them – scrubbing will be enough. I love the sweetness and beautiful color of carrots: the shiny orange, the deep purple and violet, the pale yellow. Many soups or stews are unthinkable without them, but carrots can also be steamed or broiled, stir-fried, mashed with butter and spices, and they are excellent roasted. Preheat the oven to 400 °F (200 °C). Cut the carrots diagonally into similar size pieces. Mince the garlic cloves and chop the parsley. If you use cherries, cut them into smaller pieces. In a bigger bowl (or directly in a baking pan), combine the oil with the sugar, spices, and garlic. Add the carrots and try to coat them evenly with the spice mixture. You can use a wooden spatula or your hands to do this. 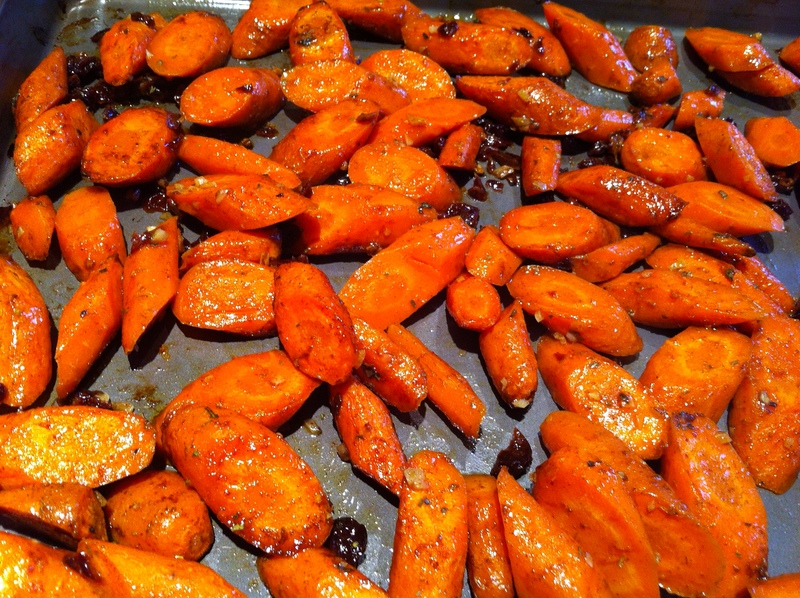 If you placed the carrots in a single layer on the roasting pan, 20 minutes of roasting will be enough. 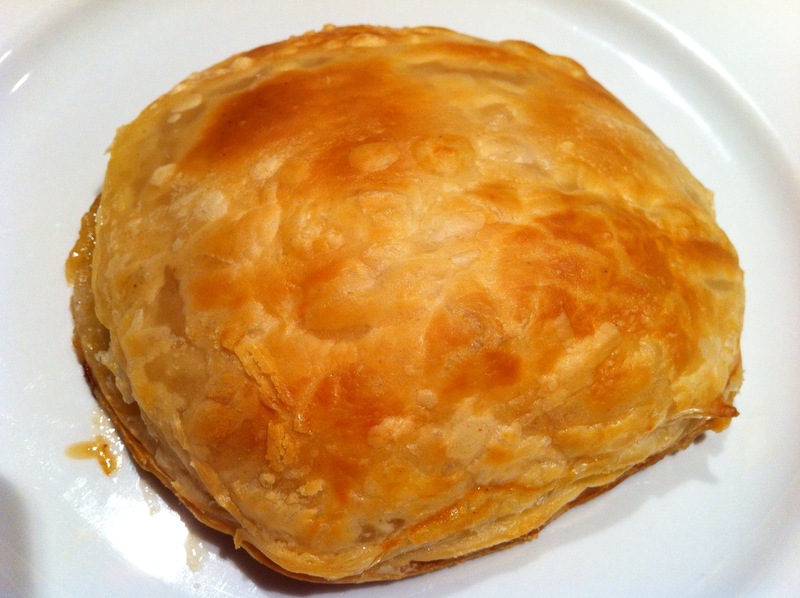 Multiple layers or the use of a smaller pan will require longer time – test with a fork for doneness. Remove the pan from the oven. Add the raisins (or cherries), lemon juice, and parsley. Toss well. Serve warm or cold. Makes 8 servings.